Bayelsa State Government has expressed its readiness to partner with the National Agency for the Prohibition of Human Trafficking in Persons, NAPTIP in its campaign against human trafficking that has been rated as the third highest crime in the world and more pronounced in societies with high poverty rate. This was in response to the request of the Director General of NAPTIP, Barrister Julie Okah-Donli during a courtesy call on Governor Henry Seriake Dickson of Bayelsa State in Government House, Yenagoa on Wednesday. According to the Chief Press Secretary to the Governor, Mr. Francis Ottah Agbo, Governor Dickson, who gave immediate approval for the establishment of the state office in Yenagoa, requested the Agency to furnish him with the data on the rate of human trafficking in Bayelsa state, based on the Agency’s submission that Bayelsa is the transit point, where the victims are easily ferried away to other countries, in view of the coastal nature of the state. The governor expressed dismay over the alarming rate of human trafficking in the country, especially the new approach adopted by the traffickers, whereby innocent victims are being killed and vital organs of their bodies are removed and sold off. He acknowledged that, the fight against human trafficking was a collective responsibility of all and promised that the state government would continually support law enforcement agencies in the state, just as it will equally extend the same to NAPTIP. Earlier in her address, the Director General of NAPTIP, Barr. Julie Okah-Donli had lauded the developmental strides of the Restoration government in the state, especially the infrastructural development, with direct impact on the lives of the people in the state. Okah-Donli, who revealed the new strategies adopted by the syndicates to lure young Nigerian women into prostitution and other related vices, hinted that, girls are normally trafficked under the guise of providing gainful employment opportunities. She said, human trafficking in recent times has become worrisome as vital organs of the victims are sold off. 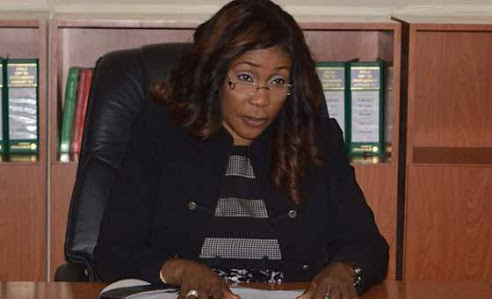 The NAPTIP boss, therefore, sought for the partnership of the Bayelsa state government to curtail the trend, as Bayelsa state serves as a source and transit camp for human trafficking due to the presence of multinationals and her coastal nature.